Jeere Wale Aaloo are an integral part of the ‘Vrat Ka Khana’ (‘fast’ special spread). 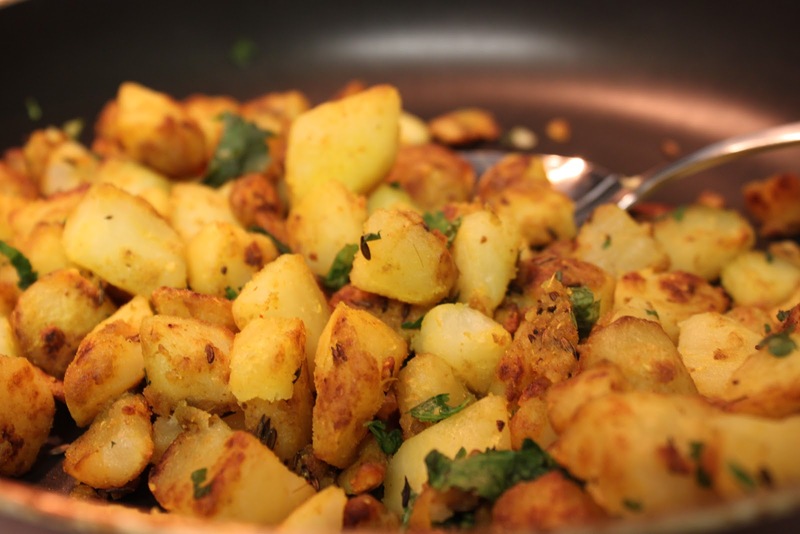 These Aloo are simple and quick to make, and taste great! I have another fond memory of these Aaloo – the one with the train journeys……they taste oh! so delicious with poori and pickles. Though mom use to ensure that I was well fed before we started the train journey, but there was something about the train journey, that made me want to eat the food as soon as the train set off. So here are the special Aaloo…. this recipe will definitely come in handy when you’re on a rush and yet want to prepare something yummy, or are about to travel! Here’s my favorite Aaloo recipe, what’s your’s? Is there a different and interesting version you would like to share with me and the other readers? I love the Aaloo Poorie that is sold on the railway stations too! But, I like your recipe; its quite similar to the one that my mom also makes. Could you please post the recipe of the spicy Aaloo with gravy, please? Most of us like Aaloo in one form or other…you could check the dum Aaloo recipe on my blog and will be posting more aaloo recipes soon.